★ Read your message before it gets deleted! Read your message left by Terry before it is deleted! You have received this email from Badoo Trading Limited (postal address below). If you do not wish to receive further email communications from Badoo, please click here to opt out. Badoo Trading Limited is a limited company registered in England and Wales under CRN 07540255 with its registered office at 13 Hawley Crescent, London, England, NW1 8NP. 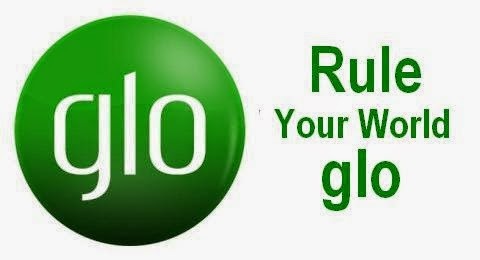 National telecommunications carrier, Globacom has been adjudged one of the six most admired brands in africa in the latest ranking by one of the continent's most reputable business magazins, African Business. The ranks, published in the latest edition of the london based magazine showed that globacom polled a total admiration score of 345, placing it as on of the six most valued brands in the continent ahead of many multinationals. According to a statement by the organisers of the annual rankings, the resulta were arrived at after a rigorous, multifaceted exercise. The statement by Rupert Kemp, valuation director, brand finance africa, and Karin Du Chenne of TNS, the magazine's partners on the project, said the process intergrated consumer research and financial valuation. 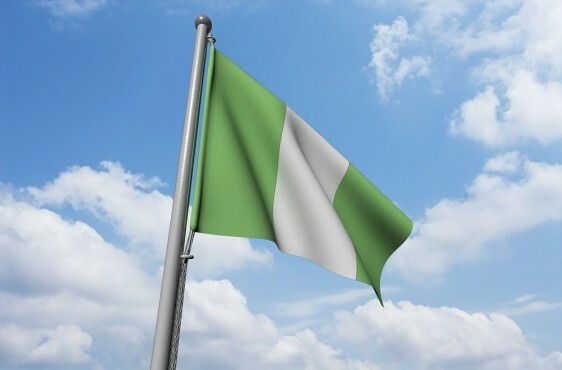 SECURE ID LAUNCHES SMART CARD MANUFACTURING PLANT IN NIGERIA. The commissioning of the SecureID smart card manufacturing plant happened today. the plant is the first EMV-certified smartcard producing plant in Sub-Sahara Africa. So, you may be worrying what this means, this means that we now have a local producing plant that will be responsible for the production of 200 million smartcards on a annual basis. The plant will create SIM cards locally for the telecoms industry and payment cards for the banking industry. I will also produce high security polycarbonate identity cards for the private and public sectors.
" SecureID smartcard manufacturing plant is a validation of the operation in local ICT sector. She added that this was a milestone in the growth of a digital economy. SecureID is a pioneering indigenious company in the smartcard supply and personalisation space. Kofo Akinkugbe, CEO of SecureID revealed that the plant is 100% owned by Nigerians and the workforce is 95% Nigerian. NETPLUS LAUNCHES ITS OWN PAYMENT GATEWAY, NETPLUS PAY. Creating a proper payment gateway platform that improves the users experience and simplifies the payment process can be a cumbersome thing to do. Even the leaders in the mobile payment space have difficulties doing that. The e-commerce startups are always seeking to give the best payment platform for its customers and this is why they offer various ways for customers to pay online, that's if said customer isn't the Pay On Delivery type. NetPlus seeks to change that, with the start of its payment gateway, NetPlusPay. The norms for making a payment online involves complicated multisteps. It needs moving away from the site where the buying activity is taking place to go into the bank's internet banking page or the worst scenario, going physically into the banking hall to make the payment. Only after this is done can the user return to the shopping site, armed with a proof of payment, to complete the transaction. However, with NetPlusPay, a user is able to create a payment without leaving the shopping or service site. The entire transaction is completed on the merchant's site with the user logging into their bank's internet banking platform. With this integration, the user sees payment made immediately and is able to complete their transaction quickly, while the merchant sees value immediately in their account. Because of this speed and ease, NetPlusPay will create online payment as seamless as other electronic payment methods and better in certain cases as payment is made directly into the account of the retailer or merchant. NeTPlus has already signed on several of Nigeria's leading banks with the goal of integrating all of the country's top banks on the platform. First City Monument Banks (FCMB) is set to be the settlement bank for the initiative. NiRA RELEASES REPORT ON .NG DOMAIN REGISTRATIONS. Nigeria Internet Registration Association (NiRA) has released a report on .ng domain registrations in Nigeria for the year 2014. The information reflects domain purchases, renewals and transfers over the course of the year. Based on the information, 18,870 domains were registered, 11,907 were renewed and 765 domains were transferred, in 2014. The report also laid emphasis on the drop in .ng domain purchases in the month of December. According to NiRA's report, ''December 2014 recorded a drop in the .ng domain name purchase. 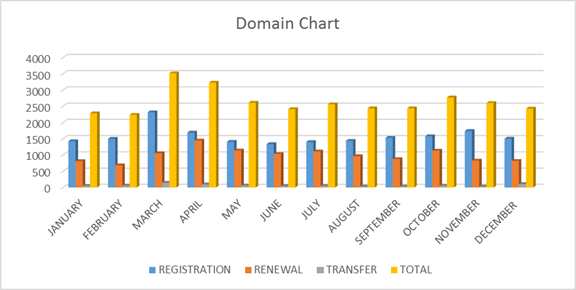 There was also a slight decrease in the number of domain names renewed in the same month ... Interestingly, there was a surprising increase in the transfer window. This could be traced to entrance of new registrars''. NiRA is the registry body for .ng domain names and it has a total of forty-seven accredited domain registrars. ISOC: FOREIGN WEBSITE HOSTING IS IMPENDING INTERNET GROWTH IN AFRICA. Lack of locally hosted content in African countries might be stifling development of the Internet ecosystem on the continent. In the latest information from Internet Society (ISOC), it posited that in many growing countries and emerging regions, the vast majority of content accessed by local users is hosted abroad and this according to ISOC, '' Have significant impact on the entire Internet ecosystem in a country''. Using Rwanda as a case study, the information which was co-authored by Mr. Kende and Karen Rose of the Strategy and Research office of the organization, recommends that policymakers, companies, and content entrepreneurs, should focus on building a positive enabling environment that will incentivise local hosting and service growth. This according to the information will offer content providers a local choice, rather than imposing measures that artificially require local hosting. AFRILEAKS LAUNCHES, TO EXPOSE CORRUPTION IN NIGERIA. AfriLeaks has finally started. The website is created to allow Africans anonymously leak confidential documents of public interest to investigative media outlets within the continent. The website, though similar to the already accomplished Wikileaks, claims to offer something quite different. On security and anonymity, AfriLeaks says it use state of the art security software to anonymize your internet connection specifically, Tor, amid a throng of other social and technical security procedures as you submit documents to or correspond with reporters. AfriLeaks currently partners with Daily Monitor, Global Witness, Premium Times The Zimbabwean, Mmegi and 14 others out of which 'leakers' can choose who investigates their leak. MTN Nigeria started ''BetterMe'', an app that is intended to offer Nigerians to internet content such as pidgin-based website, local language news, sports and home grown productivity tools. 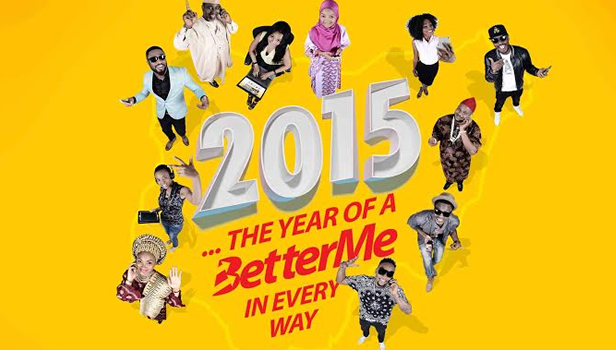 MTN 'Better Me' started at a press briefing held at Weston hotel, Ikeja, Lagos on Tuesday, January 7th 2015. The app is created to allow easy access to a variety of digital content. It offers subscribers a single platform to access, view and share New Year resolutions and must do, 2015 prophecies and events, news, daily deals, gossips, fashion, healthy living and lifestyle tools. Speaking at the event, General Manager, Corporate Affairs, Mrs. Funmi Onajide quoted that ''In the past, the focus was on voice that is the ability to connect people so that they could make phone calls. This industry has accomplished that with over 100 million active subscribers in Nigeria of which MTN has 60 million subscribers as at the end of 2014; that dispensation was known as Telco 1.5. Now we are moving to Telco 2.0 which is described by full scale focus on data and digital services leveraging the power of the internet''. This internet package built by Neo-2 an application firm comes with three different 2015 BetterMe Bundles for consumers to choose from as revealed by MTN Nigeria's Chief Marketing Officer, Bayo Adekanmbi. It is also available on Android and iOS platforms for now, other platform will come up soon. MTN subscribers can download the app at no cost by sending the keyword, 2015 to 131 via SMS. An SMS having the link will be sent to your phone. 5 NIGERIAN STATES SUBSCRIBE TO ICT MINISTRY'S MOVE TO REDUCE INTERNET COST. 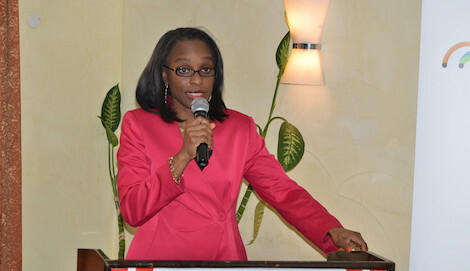 Nigerian Minster of Communications Technology, Honorable Dr. Omobola Johnson, last month (December), at the A4AI Coalition Forum, announced that five of its thirty-six states Abuja, Bayelsa, Cross River, Lagos and Ondo are working towards the reduction and removal of multiple taxation of Information and Communications Technology ICT. In a release on the Alliance For Affordable Internet's (A4AI) website, the Minister at the A4AI forum referred to the states as the ''Smart States''. These smarts states have formally signed a memorandum of understanding with Dr Johnson to join the country's Smart State Initiative, which aims to improve the growth and faster deployment of ICT infrastructure across the country. ''Each of the five states have reduced levies and taxes on ICT infrastructure by much as 50%, and the Smart States will make a single agency to collect fees on behalf of their governments. This reduction in taxes and fees will help lower costs of accessing the internet and enabling more Nigerians to come online.'' she says. The Alliance for Affordable Internet (A4AI) is a ''global association working to make broadband inexpensive for all.'' It aims to reach the UN Broadband Commission target broadband priced at less than 5% of monthly income, thereby allowing billions of people to come online. FIRST BANK AND ETISALAT NIGERIA COLLABORATE ON MOBILE MONEY SOLUTION. 7 COUNTRIES WITH THE BIGGEST Ecommerce MARKETS.